treating TMJ related disorders, as well as head, neck, facial pain and Complex Regional Pain Syndrome, (CRPS/RSD) disorders in children, adolescents and adults. this training at the prestigious Piper Education and Research Center (www.PiperERC.com), in St. Petersburg, FL under the direct tutelage of Mark Piper, M.D., D.M.D. Dr Gittelson offers lecture and hands on courses on the science of TMJ diagnostics and MRI interpretation. Dr Gittelson offers courses to doctors and qualified practitioners on the science of CRPS diagnostics and treatment including sympathetic nerve blocks to the head, neck and face. Dr Gittelson also offers educational seminars to the general public on CRPS. 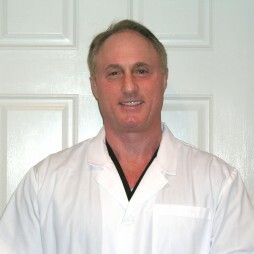 Piper Education and Research Center, Dr. Mark Piper M.D., D.M.D. Dr. Charles E. English Award 2002, first recipient, for the most clinically relevant article published in the Journal Implant Dentistry.